Hello everyone in today’s blog post I thought that I would share with you guys some questions that I’ve been having about the second book Zoe (aka Zoella) will be bringing out this October. 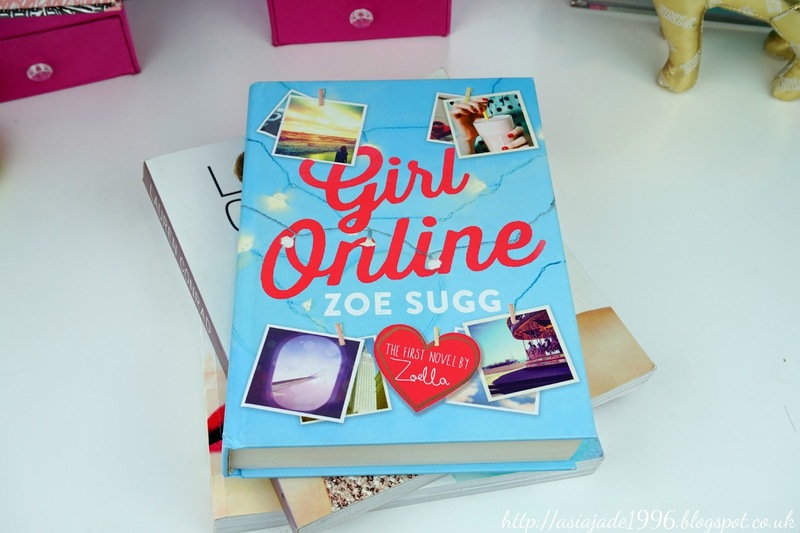 I really enjoyed the first book which was called “Girl Online” however the second one is called “Girl Online: On Tour”. When Noah invites Penny on his European music tour, she can’t wait to spend time with her rock-god-tastic boyfriend. 1. Will Elliot stick by her side? We all know how supportive and close Penny and Elliot are but some parts of the book I swear Elliot is on his period. I mean it’s no secret boys definitely go through the period motions one minute their fine and then the next their all angry for no reason. I have experienced this many times and although boys physically do not have periods they certainly have them mentally. I would love to say that Elliot and Penny remain close friends however I have my doubts as he does seem a bit temperamental especially when he’s not physically near Penny. Do you remember when he flipped out because Penny wrote about something on her blog before she told him? Well us girls sometimes find it easier to express our feelings to people we don’t know than to someone we are so close to. I mean it’s the same for guys in a way they would rather not express their feelings than sit in a room full of girls talking about their problems. So why did he get so pissed I mean if he was her friend he would have just been like okay I understand. This is why I think we haven’t seen the end of Elliot’s tantrums which I have to admit I’m excited to see what happens next it always makes a book interesting to read. 2. Does Noah have any more secrets to hide? So the major secret Noah kept from Penny in the first book was that he was this major rock star. I mean that is a pretty big secret so little secrets are easy to hide right? It just makes me think that we haven’t seen the end of Noah’s past. I believe that there may be a few more secrets that might pop up in the next book that could test their relationship. We all know that rock stars are known for having a few girlfriends in the past so I wonder whether an old flame will pop up. Although Penny is gorgeous there will always be someone who is better so this could put their relationship to the test. 3. What’s going to happen to Penny’s mum & dad’s wedding-planning business? As we discovered in the first book Pennys mum and dad run a wedding-planning business called “To Have and to Hold”. We also found out that they got a big break when they had to cater a wedding in New York City during the Christmas period. This is also how Penny met Noah and the rest is history really. So my questions are now that they have successfully pulled off a big wedding what will come next for them? Will they cater more for weddings in England or America? Does this mean that they will eventually move to America? If they move to America because there are better people to cater for over there will Penny move with them? Will Penny plan to take over the business or will she become a big blogger? 4. Will Penny start a YouTube channel? Okay so we all know Zoe first started out writing a written blog before she moved onto having a YouTube channel so I want to know if she will portray Penny to do this as well. By the middle of the book Penny’s blog is pretty big by then having over 300 comments on her “Fear” blog post so by the end of the book it must be pretty big. Especially after all of the publicity she got for writing about Brooklyn Boy aka Noah. I do have my doubts about this one as it’s very easy to portray a blogger in a book like Zoe has done you can just write as if you are writing a blog post. However describing you filming a video may be a little harder so I’m unsure whether Zoe has decided that Penny will take upon running a YouTube channel too. 5. Will Penny change because of her new found fame? Either way Penny is no longer the average teenage girl from Brighton, England I mean she’s dating a famous rock star and now her blog has blown up from all the publicity. So I wonder whether she will remain the same Penny or whether a little fame may get to her head? We all know at some point in someone’s career fame gets to their head a bit and I’m just wondering whether Penny will remain down to earth or not. We all know that Zoe hasn’t had it easy at some points in her career having lots of haters and a lot of publicity which isn’t always in her favor. I’m wondering whether she will portray some of this in the second book so we as her followers/supporters understand how tough it has been at times. I have to admit I would find this extremely interesting as it just makes you realise at the end of the day Zoe is only human too and she does face a lot of hardship along with a lot more support and love. So those are just a few of my theories and thoughts for Girl Online: On Tour of course I have a load more however I’d be here all year telling you guys about them. Let me know some of your theories do you agree with mine or not? I just thought it would be a fun and interesting blog post to write up so I hope you enjoy reading it. "Wishlist | Mid-Week #14 H&M Homeware"